No more silence. I’ve been thinking about this for several months — and not because that’s the way women are, trying everything on first — but because that’s the way I am: I regard all opportunities as a challenge. In the five years that have gone by since the wave of protests in 2012, my political views have definitively formed. I’m ready to declare them and defend them on any level, including the level at the very top. 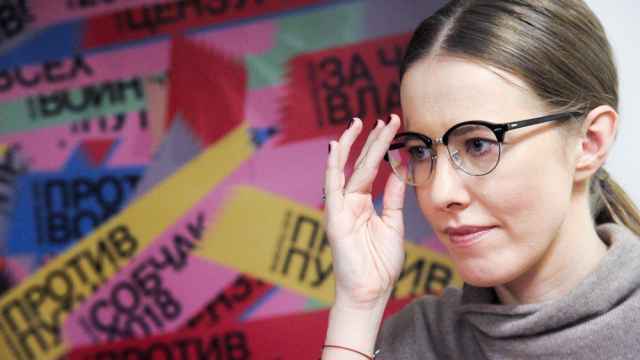 I’m Ksenia Sobchak. I’m 35 years old, I’ve lived and worked in Russia for my whole life, and I care what happens to my country. I take seriously any action in the public arena, and after analyzing all the risks and incredible difficulties involved, I’ve decided that my participation in the presidential elections might really be a step in the direction of the transformations that our country needs so badly. Despite the attempts by bureaucrats to compromise me and use me for their own purposes, despite attacks by some of my liberal friends, and despite speculation by armchair political analysts, my nomination might and must be of use for the opposition and for society as a whole. Over the next few weeks I expect I’ll have to explain my position many times, so I want to immediately lay out my main arguments for doing this. These elections in general probably don’t offer the best choice. The only competition to the main candidate is from those who have been in the public eye for a long time — people who don’t have the power or don’t want to change anything. People who want change and might be able to carry it out apparently can’t take part. These aren’t the kind of elections we are imagining in our dreams for the future. But only we can fix that. Each one of us can and must declare our position. We must say that we don’t accept authorities who want a quarter of a century without change at the top; we don’t accept the destruction of education and health care; the monstrous level of corruption and propaganda that has permeated society from a rural school to the Kremlin; the ubiquitous violence of the law enforcement, military and security agencies; we don’t accept war and international isolation. We must use every opportunity we have for discussion: conversations at home and at work, discussions on social media, demonstrations and elections at all levels. Social change won’t happen unless the majority realizes that it is necessary. And yes, I repeat, we must also use these elections for public discussion of the shortcomings of the authorities as well as for improving the skills of our opposition. We must not ignore the elections as an institution, as the main instrument of public governance — the basis for real democracy, even though in recent decades this instrument has essentially not been used as it should have been. After all, truly free elections are not just honest voting. They are free and equal access to participation and campaigning, exact tabulation of results that are then accepted by society. The elections in March won’t be like that either. It’s too late. But is that a reason to ignore or boycott them? No. We must prepare to participate in them and change them through our participation, gather signatures, demand to be registered, and vote. This is how the most vibrant and staunch representatives of the opposition are already acting. To win a marathon you have to train, run, and demand honest referees. In Moscow, we just held elections for city council deputies. In some districts the opposition sidelined a part of the “party of power,” and in some districts the oppositional candidates were completely victorious. It’s possible that if the turnout had been greater, the opposition’s results would have been higher still. All of the most important oppositional forces called on Muscovites to vote despite the complete information black-out by the authorities. Did those forces — or to be more exact, did we, Muscovites, expect that those elections would be free and fair? No! But we hoped to make them that way. The best of us — through participation. The rest — through voting. You say that presidential elections are different? That with the results known ahead of time, the authorities want a higher turnout to create the appearance of legitimacy? And I ask you — what difference does it make what the authorities want? What’s important is what we want. In contrast to the authorities, we must be consistent in our convictions and actions: elections are an extremely important democratic institution and we must use any political or public pretext to discuss the state of society and demonstrate that we do not accept it. Is the right way to show your disagreement to boycott the elections and not run if the candidacy of prominent opposition leaders — first of all. Alexei Navalny, is not allowed? In my view — no. Not running in the elections and the silence of the discontented in this kind of boycott blends with the indifferent silence of the lazy. It won’t let us and society as a whole see the real number of people who do not accept the way things are and want renewal and change. By refusing to take part in elections — the legal and safe, but also significant expression of will — even if they are controlled, imperfect, and even dishonest — we don’t leave ourselves any choice but to take to the streets in protests, which not everyone feels comfortable doing and which must surely be the most extreme and exceptional means in the political battle. Contemporary history knows many cases of elections and plebiscites thought to be under the control of authoritarian regimes turning in the cause and instrument of true democratic transformation. This always happened when the opposition took part in the elections and it never happened when the silently refused to participate. In the dramatic October days of 1993, Russia got a legal way to “actively boycott” the elections, which is now what part of our opposition is calling on us to do. There was a presidential decree to include the option to tick off “Against all” on ballots in elections at all levels throughout Russia. This is a legal and completely peaceful instrument to express civic discontent about how elections were held, the candidates, and the lack of turnover in leaders. Many years ago the authorities took a rudder to electoral legislation, turning it to their tactical needs, and they took this instrument away from us. I want to return it with my participation in the March presidential elections. Elections aren’t just putting the ballot in the box. Elections are the campaign. Electoral campaigning is the legal right to have access to the political media that is totally usurped by the authorities and the sycophants around them for the rest of time. Campaigns are not the only way, but they are a very important way of telling people who don’t subscribe to the television channel Dozhd TV or watch YouTube about corruption and how ineffective current governance is. If we have access to this, we should make use of it. I’m throwing in my hat not just as a candidate, but as a mouthpiece for everyone who can’t become a candidate. I am ready to voice complaints about the existing system — and there is a great number of complaints in every part of the political spectrum. I’m ready to transmit the statements of the left and the right, because the problem of corruption, the problem of authorities being above any kind of monitoring or control and not subject to turnover are far greater than our ideological differences. Today it’s impossible to have a normal discussion about all of our problems within the framework of the elections because not all the political forces have equal opportunities. But that means that we must speak out about our problems more actively and loudly. Today it is essential to temporarily forget our differences and once again recall the common basis of our views, and tell others that political competition is normal — that you don’t have to elect someone you don’t know as governor, or that the authorities must serve you and not get rich on your account. Elections are a tool of political enlightenment. And this enlightenment is sure to reap benefits — perhaps not in this March. But much faster than our opponents think. I am outside confining ideological frameworks. I am not a member of any specific parties, I’m not constrained by party or group discipline, and within the campaign. I’m not even for or against “Crimea is Ours.” I want an end to pervasive theft. I want there to be real politics, authorities who are accountable to the people’s free choice, people who decide for themselves where they want to live and who decide on equal terms with the entire world community and neighboring countries where Crimea really belongs. None of the candidates of the establishment opposition has fallen before the repressive machine of power. None of them has been detained, or had their home searched, or had something seized or confiscated. They all live on some form of state financing and sponsor support which is completely safe for both donor and recipient. They take part in the elections because they can’t do anything else, including earn money in any other way. I know what I risk, and I have shown my readiness to take those risks. I have other things to do, but I am putting it all aside to do what I think is necessary (and possible) at this political moment. I’m against revolutions. I’m a good middleman and organizer. Alexei Navalny offered the current top leadership to leave quietly — and that’s right and very important for strengthening the procedures of power changing hands in the country. But they don’t believe him. But they believe me. I can talk with everyone, in part because I personally know the majority of the Russian establishment, and partly because I’m a journalist with the profession of speaking with everyone. Almost 500 difficult professions in Russia are officially closed to women. But among the other professions, women get about 30 percent less pay than men. Women make up only about 5 percent of top executives in the country’s most important companies. This problem exists everywhere, but Russia doesn’t even come close to developed countries in solving it, despite the public declarations of gender equality. I am a woman. I don’t have that terrible male ego that always prevents politicians from coming to an agreement, that thinks the best way to solve any problem is with force when that is almost never true. Regardless of the result, half the population of the country deserves to hear a woman’s voice for the first time in 14 years of these supposedly male games. I’m a celebrity and even popular, although not as a politician. But if elections give a podium for people to stand on, then it’s essential that people hear the person speaking. It’s essential that the person at the podium isn’t afraid to speak and can speak. I’m well off, but my income is the result of hard work that everyone can see. 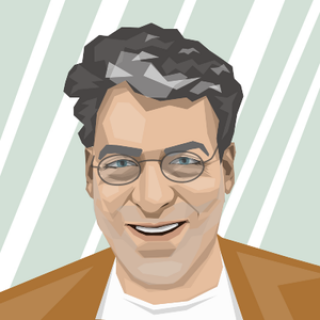 I don’t own any privatized factories. I don’t get commissions or kickbacks. I pay all the taxes I owe and am proud of my independence. I can collect money for my campaign, and that is also very important because I probably won’t have time to get a kopek from a million poor people. I hope I’ll get money from the elite, and that shows that all the strata of society are displeased with what is happening. I think that it’s important to understand that we are all in the same boat — young and old, celebrity and anonymous, rich and ill. We aren’t rocking the boat. Our boat has been warped by political imbalance, the mistakes of the leaders, their lack of professionalism and theft. But together we can fix that. I may be too romantic, but we have enough political cynics. 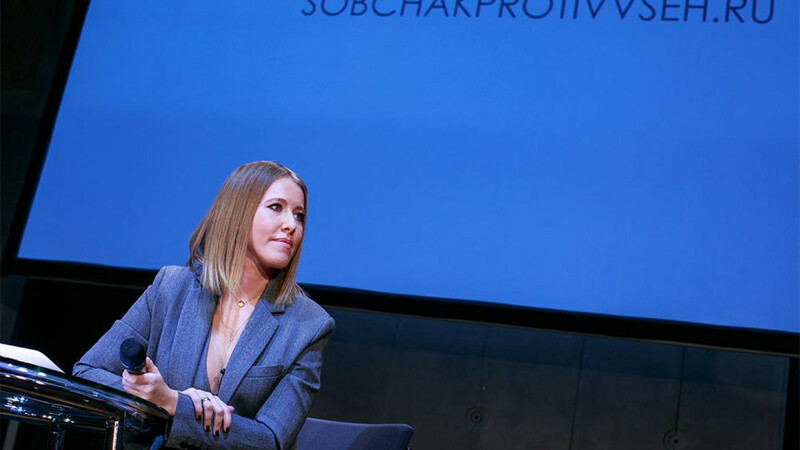 But at the same time I, Ksenia Sobchak, am sufficiently rational to understand that the authorities will want to use my nomination as a way to legitimize the elections instead of by raising the turnout, which in my view the authorities don’t need: Everyone who doesn’t come to vote only makes falsification easier and makes the share of the conservative, unenlightened, and deceived majority even higher. By letting me take part in the elections, the authorities will want to show “representation of the full political spectrum” — as if my presence on the ballot solves the problem of other candidates who are not allowed to run. But I’m the candidate “Against Everyone” and I refuse to play someone else’s role or take someone else’s place. For that reason from the very start I say what I will do in these elections: I will describe how bad things are in the country. If other representatives of the liberal opposition, including — and in first place — Alexei Navalny can register to run, I am ready to coordinate my efforts with them, right up to withdrawing my candidacy. If Russian citizens support my self-nomination under these terms and I register as a candidate, I will continue to staunchly maintain that position. And in my view, this is beneficial for the political climate in the country. If after declarations such as these I am not registered — that’s beneficial, too. It clarifies things and lays bare the system’s hypocrisy. I know that I’m a controversial figure. I’m a journalist, a blonde with an easy life, the daughter of a reformer, member of the coordinating council of the Russian opposition. Maybe I’m not the candidate for you, but my participation in the elections on the platform positions noted above are beneficial for voters and useful for the Russian political system. Despite the fact that I see my role in these elections as the town crier for complaints, as the candidate “Against Everyone,” and that means that my own personal views are not of principal importance for the campaign — for me it is truly more important to make sure that all views and political platforms are freely represented in the future Russian government — all the same I believe that it is incumbent upon me to formulate publicly my fundamental principles and convictions. Russia is a European state. Russia’s equal partners and allies are European nations, states that are democratic and flourishing. European values are a priority not only for our foreign policy, but for our country’s domestic policy as well. Russia is a democratic state. All laws forbidding or hindering citizens from expressing their political will and initiatives must be reviewed. All political and nonviolent actions by a citizen connected with the realization of his constitutional rights to freedom of speech, assembly and others must be allowed. Article 282 of the Criminal Code must be repealed. The highest form of public expression of will is the referendum, and existing limitations on the forms and time periods for carrying out regional and federal referenda must be repealed. Russia is a democratic federative state. In this state there must be real separation of powers among branches of power and territories, and the authority of the branches of government must be legislatively limited. The rights of the public and political representatives of majorities must be protected in law and in practice. The distribution of funds between the regions and the federal center must be changed to benefit the regions. It is essential to bring back competitive elections at all levels of regional and federal power. The president should not have the right to appoint and fire governors. The rights of the security, military and law enforcement agencies must be limited in legislation and in practice. Their funding must be transparent and completely accountable to parliament and the Auditing Chamber. 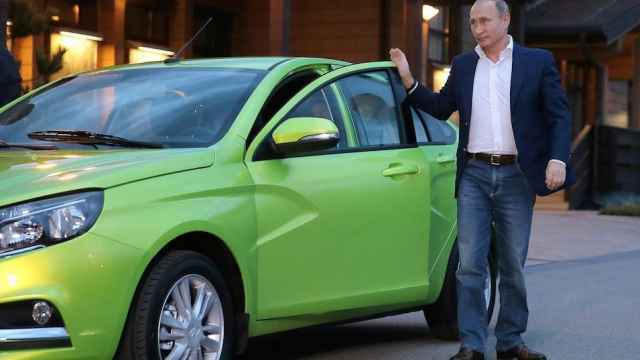 Russia is a country with a free market economy and a strong social sector. All major state corporations must be privatized and kept within anti-monopoly limitations. The government must not control any branches of the economy, and the share of the state in enterprises and industries must be limited to a blocking stake. Private property must be protected by law, and ownership and nationalization may be reconsidered only when compensation is made based on independent market evaluations. Reform of tax and regulatory legislation and practices must stimulate the development of private entrepreneurship, small and medium-sized business, high-tech and innovative enterprises, and education. The list of branches of the economy requiring licensing must be considerably shortened. The state must give up ownership of instruments of propaganda. State ownership of mass media outlets must be legislatively limited by both type of outlet and by region. Private ownership of mass media organizations must be subject to strict anti-monopoly limitations. Other limitations on ownership and the work of the mass media must be lifted. Communications operators must be freed from their monitoring functions and the administrative and financial burdens connected with monitoring citizens’ free speech and private lives. 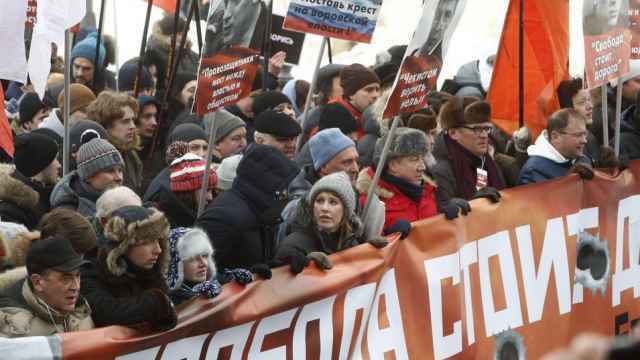 The so-called Yarovaya laws must be repealed. Judicial reform must be conducted — reform that truly provides independence for the judicial system. Regions must have the right to their own legal practices if they are not in direct conflict with the federal constitution. The legal supremacy of international treaties signed by Russia and the primacy of the basic statutes of international law in defending rights of the individual and property rights must be reinstated. The educational system must be reformed to provide strong state support for the most promising fields and freedom for private and commercial educational institutions. The practice of censorship and the ways the state controls cultural and public institutions by financial and administrative means must be eliminated. State support for culture and non-commercial organizations should be carried out through public councils of specialists, on the basis of strict rules and constant rotation of their staffs. Russia is a secular state. Religious institutions and activists cannot be financed from the state budget, or from the budgets of state enterprises or enterprises that receive state financing. Laws that separate out representatives of this or that confession into a special social group must be repealed. Russia is a democratic state. All the laws limiting the rights of people by gender and sexual orientation must be repealed. All the limitations placed on Russian citizens based on their place of birth, having other citizenship, criminal convictions in the past and so on must be repealed, with the exception of cases of national security. Adoption of Russian citizens by foreigners must be allowed in all cases when no citizen of the Russian Federation wants guardianship over the child. In the near future I will form my staff and invite — not just invite, but ask — all democratic forces to delegate at least observers, if not representatives. I’m open to discussions with all political parties and groups. In the very near future our fundraising volunteer team will be formed and we’ll open our campaign website. We promise that our work will be completely transparent to citizens and observers, and open to all mass media, both Russian and foreign. Right now the most important thing is to collect signatures for my nomination. The most difficult task is to get above the artificial barrier based on the shortcomings of citizens’ registration information, the interests of regional and federal authorities, and the prejudices of the Electoral Committee. I am starting this work without enough time or resources, but with a good sense of the difficulties of the process that lies ahead. This makes it all the more strange that the main candidates from the system haven’t yet begun, apparently counting on administrative resources and falsification. They say that politics are the art of the possible, but in our inside-out world we still have to test to see if it’s possible to get involved in politics or if all the ways to do that are artificially and artfully closed off. This test is crucial not only — and not so much — for me, but for other candidates and moreover — for all the citizens of Russia. And for the country’s future citizens. I ask for your help. I’m hoping for it and counting on it. This letter was first published by the Vedomosti business daily on Oct. 18.